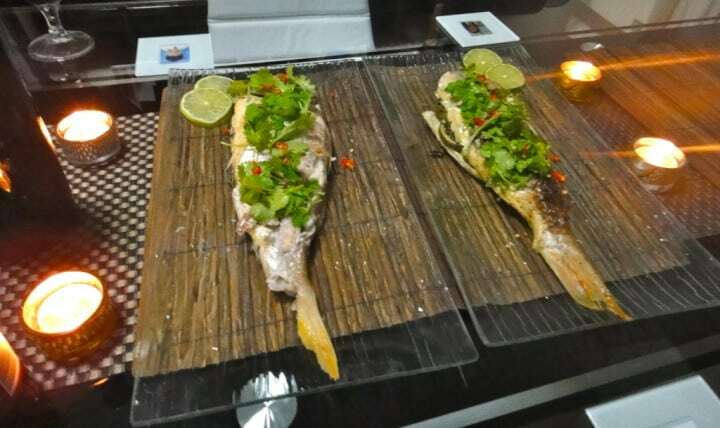 Thai steamed snapper – type thing | Is Life a Recipe? This one is delicious, or so I have been told. Yes it’s fish, so do I eat this after cooking it – not really. Not the best photo apologies – way before I bought my Canon. Means I should really cook this again huh!!! Where did it come from? Basically some guess work. It was originally created when I was living in Australia and I was messing about with some Thai ingredients, a fish, a banana leaf and a BBQ. A decent sized snapper will probably serve two people. It really is again just so simple, and so effective. Lay the fish in some silver foil. It needs to be in the middle of the foil, because once the fish is prepared you’ll be folding the foil over the fish to form a little “tent” of space above it. Because if you leave the little space it will allow the fish to cook using the steam build up in that space, and if you do that it will make the fish very moist. In the cavity of the fish you simply lay the chili, lime slices, coriander (keep some back for garnish) and ginger. Then on both sides of the skin of the fish drizzle a little oil and sprinkle some salt and pepper. Fold the foil up and pop this in the oven for about 20-30 minutes at 220 degrees. You can use my “cold knife on lip” technique (see “tips of the trade” section) to check it is cooked all the way through. Then open up the foil and place under a grill to crisp up the skin on both sides, or just serve it as steamed. When on the plate, simply sprinkle over the remaining coriander and place the lime wedges for personal choice souring. Seriously how simple was that. Come on anyone can do this dish, right? 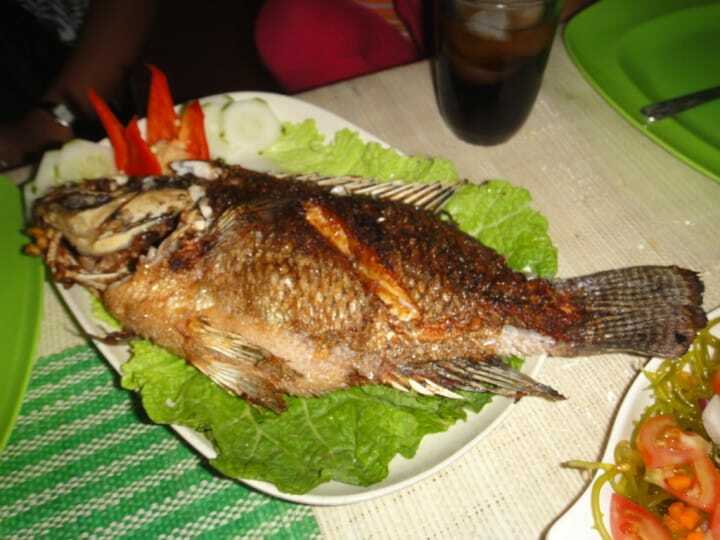 No Replies to "Thai steamed snapper - type thing"